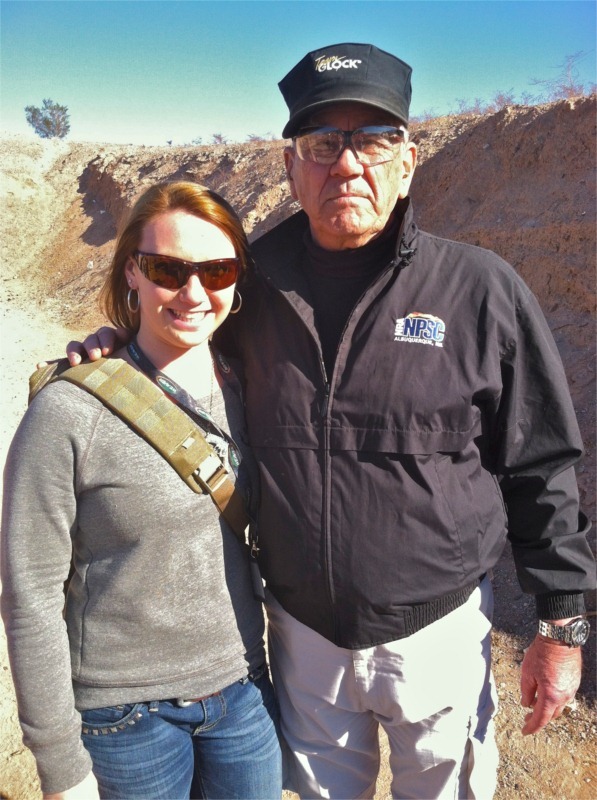 This Saturday, June 9, is National Take Your Daughter To The Range Day. This first annual event aims to encourage Moms and Dads to get their daughters to the range to learn how to shoot safely. Herein lies the problem in our household. You see, our daughter is ever-so-slightly tactical. You know, the kind of girly girl that always has a few random rifle cartridges on her nightstand along with an assortment of folding knives. Add a Kimber PepperBlaster II to daily attire and you’ve got the picture. Folks at the range are already far more impressed at her finesse handling the Hakim battle rifle than mine. She has already shot a Slidefire-equipped AK-74. I have not. Yes, the AK-74, not AK-47, version. Her Glock is bigger than mine. She manages to keep all 30 rounds of .45 ACP from a Kriss Vector SMG in the A-zone – at a full auto rate of 1,500 rpm. She’s on better speaking terms with former Top Shot Champs Iain Harrison and Dustin Ellerman than I am. She’s shot a Smith & Wesson .300 Whisper. Suppressed. I have not. What can we possibly hope to gain by taking her to the range? We need to rework this whole thing to something along the lines of National Take Your Dad To The Range Day. But seriously, visit the National Take Your Daughter To The Range Day website to learn more. As of this writing, 35 ranges across the country are participating and you can find them here. If there is not one in your area, just take your own crew to your favorite range. And be sure to tell them about this annual event! Be safe, have fun, and shoot like a girl!